We've got a smaller, seven-game Friday slate of NBA action coming your way. From a DFS perspective, there are going to be some chalk plays for sure. But there's also some tougher matchups and a bunch of slow/ defensively-sound teams to contend with. Let's take a look at what Friday has to offer. Kyle Lowry has already been ruled out for Friday’s game against the Thunder meaning we should get another healthy dose of Vanvleet in this matchup. He played 35 minutes in regulation (40 total though OT) on Wednesday against the Thunder on front end of the home and home. Even sharing the court with Kawhi Leonard, the usage was there for FVV with the latter getting up 16 shots (eight threes) and finishing with 23 points. He also threw in six assists in the win. The minutes should be there again for the young guard and he matches up well enough against Russell Westbrook on defense. There’s a great deal to dislike about point guard on this slate, and that’s why you are seeing Mudiay coming in here on the *value plays* list. Outside of the thumping they took from the Raptors earlier in the week, Mudiay’s seen steady minutes in the starting point guard role for the Knicks with Dennis Smith Jr. out with the injury. What he’s done with those minutes has been variable, at times capitalizing on the usage while other times disappearing all together. It’s kept the price relatively in check despite the uptick in opportunity. This is a bad matchup against his former team in the Nuggets considering they are very good on defense and there’s blowout risk. I’m more just nodding to the lack of options, especially on FanDuel. DraftKings will be fine with some SGs have multi-position eligibility. Consider Landry Shamet (FD $4000 DK $3800) coming cheap against the Cavs. There is also a case for considering paying all the way up for Russell Westbrook (FD $11700 DK $10800) against the Raptors. He went for 42 points and 11 rebounds on Wednesday against them. 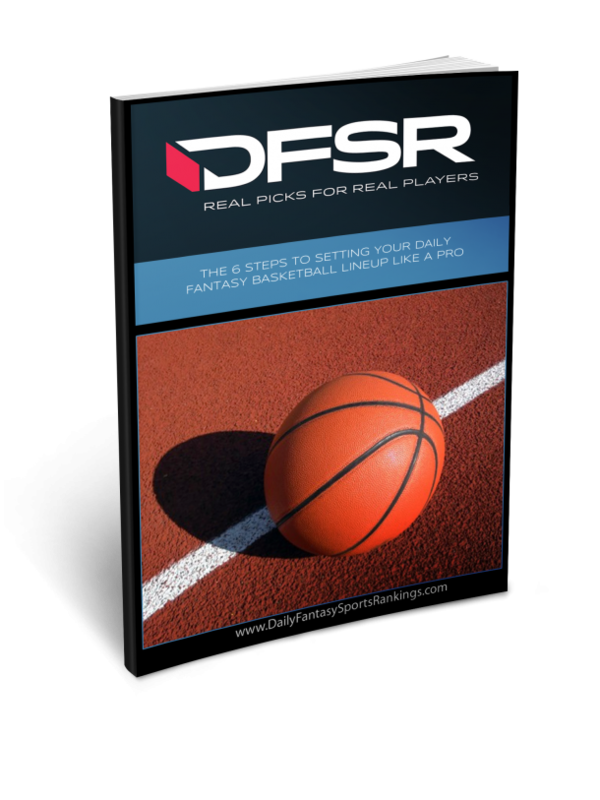 Listen to "Friday NBA DFS plays and Betting Angles for FanDuel and DraftKings 3/22/19" on Spreaker. D'Angelo Russell helped engineer the best come-from-behind victory of the season on Tuesday. The Nets were down 28 with 2:09 left in the third quarter and ended up winning the game by two on an Rondae Hollis Jefferson wild layup (basically) at the buzzer. But the real story was Russell who poured in 44 points and 12 assists on 33 shots (6-15 from three) and played 38 minutes. It’s tough to trust the Nets’ rotations on even the best of nights (Tuesday was no exception) but it is seeming safer and safer to get Russell in the mid 30’s on any given night. Now he’ll go up against the Lakers’ matador defense in another chance for a big scoring output. Oh, and if you are into revenge narratives (I’m not, but this one has me close) then there’s just another reason to like the guy. I think you can still consider Caris Levert (FD $5100 DK $5100) as a starter. But he was a victim of the aforementioned Nets’ rotations on Tuesday. Mike Conley is doubtful for Friday because of *general soreness* (tanking) and that means we should get all of the minutes out of Delon Wright. Wright was already in the starting lineup last game alongside Conley, but now should take over the primary point guard duties and play a ton. Last time Conley sat, back at the beginning of March, Wright finished with an all-around fantasy line of 17 points, eight rebounds and six assists. The price has crept up some since then because of increased opportunity, but not enough with this new role without the Grizz primary point guard. And then there’s Holiday who (theoretically) should see plenty of court time with Memphis without both Conley and Avery Bradley. Famous last words on Holiday’s opportunity considering it can really come and go. But I do think the floor is high enough considering he’s basically coming at punt play prices. That being said, dude needs every single minute to reach fantasy value because he struggles to contribute in meaningful ways. A price play and nothing more considering how thin the Grizzlies are running right now. With Kyle Lowry out and the Raptors not playing on any back-to-back, we can be bullish on Kawhi’s projection in this game. He’s fresh off a 26 point, 10 rebound, six assists game on Wednesday in which he played 37 minutes in regulation (42 total). Toronto is only two games back from the Bucks in the East with the latter dealing with a few concerning injuries to key players. Now’s the time for the Raptors to make hay and try to gain homecourt for the playoffs. 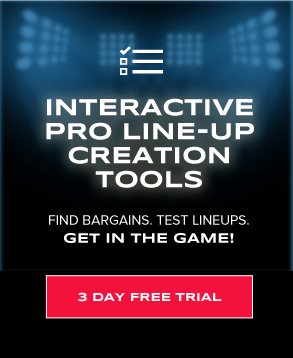 Kawhi is a great price on both sites, but especially DraftKings at sub $9K. He could end up being a chalk play there because of the price. With Justise Winslow and Rodney McGruder both not likely to play for the Heat, we should see Richardson once again crest towards 40 minutes. His fantastic defense helps him remain a minutes outlier on the Heat and if he could just find his way to getting the shot to fall then we’d be looking at major upside. He’s averaged 38 minutes over the last four, but has only knocked down 28% of this shots (16-57) in that stretch. He’s also 4-21 (19%) from three. On the season, the guy shoots 41% from the field and 36% from three so one has to feel like regression is coming in some form on the shooting. I’m bullish on the minutes and think we are buying low because he’s run so poorly from the field. Two Miami guys in a cash game writeup is usually a sign that you should take the night off from DFS and go enjoy a Friday evening with a loved one. But I do like Olynyk here. They played him 35 minutes in the loss to the Bucks about a week ago and with Bam Adebayo questionable, there could be even more minutes for Kelly O. He had played 31 or more minutes in three consecutive games before the 19 minute disaster against the Spurs. Like point guard, this is more about the lack of options at the position than anything else. Olynyk makes for a lower, middle tier play who (likely) won’t completely kill you. At a very weak position, I suppose you could do worse than Kuzma here. Even with the Lakers fully in the tank, he’s played rather steady minutes and even with Lebron around is getting up around 14 shots per game. He’s also rebounded steadily (if not robustly) and we know the guy does have some heat check in him. One thing keeping the price in check is the shooting has been an abject disaster over the last three weeks. He’s just 6-37 (16%) from three over the last nine games. That’s well below the 30% he’s shooting on the season. The game in which he turns it around and finds the stroke will see him crush these prices. He’s played 29 and 31 (in regulation) minutes in each of the last two games and last time Conley sat out, Jonas ran 32. Not to say we can always be super aggressive on the Grizzlies’ minutes and rotations, but this does feel like a spot to grab Valanciunas in the middle tier against a weak Orlando front court defense. When he crests up towards 30 minutes, the guy is near a lock for a double-double which he’s done seven of the last 13 games. I especially like his DraftKings’ price and it stands to reason he sees enough run going up against Vucevic the other way. He hasn't quite looked like himself for some time and has even been pushed around on defense in some matchups over the last couple of months. Despite the 40 minutes against the Raptors on Wednesday, Adams finished with only four points and seven rebounds. That's a fantasy disaster and it keeps the price on the slide. But if the minutes are going to stick, then I still think there's double-double potential in his game. Let's buy low on the guy.